KNOWN for his raw energy and magnetism, Kazz A.K.A. 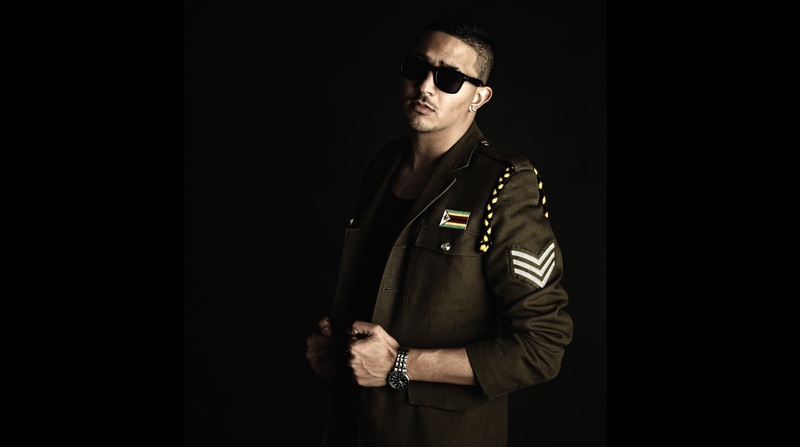 Mr Boomslang is established as one of the hardest working African Pop artists in Zimbabwe. Born Farhaan Khan, Kazz is a bona fide proponent of the Afropop/RnB movement that has excited and fascinated the music world in equal measure in the past few years. He stormed onto the international scene as one half of the sibling duo Bkay & Kazz who won the “Live & Unsigned Competition” in 2007, went on tour and released several successful albums like “Boomslang”, “African Spirit” and “Jigsaw”. Some of their biggest songs were “Ndikati Hello“, “Amina Kadeya”, “7 Wonders”, “You Know Its Right”, “See You at the Top”, “Mercy” and many more. Since going solo, the talented pop star has had the opportunity to collaborate with “Queen of dance” Rozalla Miller, “Nigeria’s Godfather” JJC Skillz, “UK Garage finest” MC Bushkin and many more. It was time to release his solo work, so he went on and dropped single after single, followed by videos which caught a lot of attention. Kazz, formally known as Farhaan Khan was born in Blantyre, Malawi in September 1984. Within months, the family moved to Masvingo, Zimbabwe and this is when Zimbabwe became home. Kazz grew up in a musical environment with his father Sidik Khan being one of the first to appear live on ZBC TV with his band. Kazz and his brother Bkay started off singing at parties and entertaining guests at every opportunity. The love for music grew from strength to strength, the brothers opened up their own production house called Prizm Inc. studios where they recorded some of their earliest songs like “Ndikati Hello”, “My Brother My Sister” and “Come Together”. Kazz and his brother Bkay decided that in order to reach that next stage and be able to grow an international fan base, they needed to reach out. The next stage of their music saw the boys fly out to the UK, and this is when the fun and work began. In 2007, Bkay & Kazz won the “Live & Unsigned Competition”, went on tour and released several successful albums. “Boomslang”, “African Spirit” and the latest album “Jigsaw” in 2012 Some of their biggest songs were “Amina Kadeya”, “7 Wonders”, “You Know Its Right”, “See You at the Top” and “Mercy”. Due to unforeseen circumstances, the Bkay & Kazz brand came to a sudden halt when their mother was taken ill. Bkay returned to Zimbabwe to help out with the family business and help out with the running of the family home. For Kazz, his option was to sink or swim. Leave the music behind or to go solo and pursue his love for music? And that is exactly what he did. Kazz has worked hard to stay ahead of the game, stay relevant and work hard to keep the fire burning. His energy, dedication and passion is shown in every performance, in every video and every single. Kazz is the kind of performer that can get every single person in the crown dancing away, and if not dancing, that leg will definitely be tapping. Since going solo, Kazz has worked on several projects which include his singles “Sweet Gal”, “International African” alongside JJC, “Shaking through the Night” and many more. This year Kazz decided persistence and consistency is his goal. Last year was about consistency, dedication and hard work. It was about recognition and raising the bar. Kazz played hard and worked even harder and we have the proof. The talented pop star released single after single, followed by videos which caught a lot of attention. Kazz began the year with the release of “Shes Worth It”, followed by hits like “Thinking of You”, “Kudana”, “Bata Masana” and “Remedy”, which reached the top spot on DSTV channel “Zambezi Magic” Official #ZimTopTen Chart list as well as being play-listed by “Trace Africa”, Channel O”, Zifm Stereo, Starfm ZW, BBC 1Xtra & Power FM. Some would say that he went off the radar following the last video but trust us when we say, the work never stopped. Moving forward, what does Kazz have in store for 2018? “Last year was definitely about branding and consistency, this year is going to be about working hard, working smart and and bringing consistent good music. Songs to lookout for this summer are “Sarudzai”, “Jolling” and “Your Body”.